Maybe you have a lot of cash that you don’t know what to do with it anymore. Or you’re someone who wonders how the most expensive wireless speakers in the market sound. We have put together a list of wireless speakers that cost a big chunk of change to have. 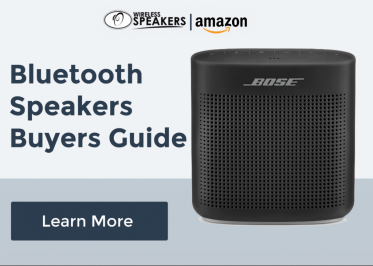 Each wireless speaker has unique functions that make them very expensive to buy. These high priced wireless speakers will no doubt bring the wow factor not only because of their price, but because of the quality and performance of the bass and sound quality. Like anything you get in life, the more expensive the speaker is, the more depth the sound will have. The sound will indeed blow your mind (like the price). There’s nothing wrong with setting high standards with these wireless speakers with a hefty price tag. You may be a professional sound mixer, or throw raging weekend parties in your Malibu mansion. Whatever the reason, if you are going to be purchasing an expensive wireless speaker, you are a music lover. There may be more expensive custom built speakers than the ones on our list, but we made sure these wireless speakers all come from an actual speaker company and are available to the public. 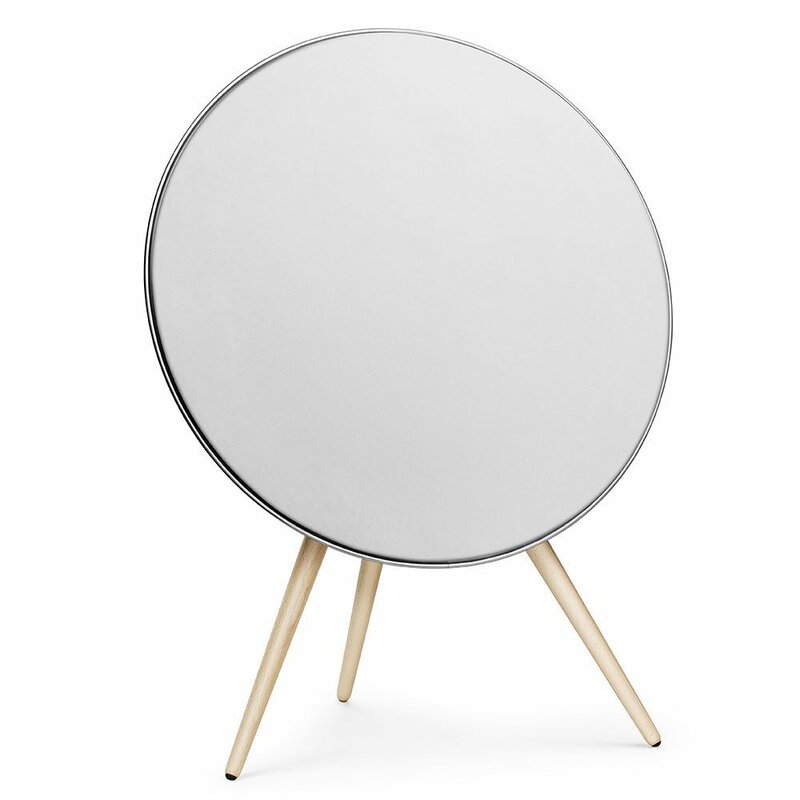 For a whooping $800, you can get yourself the Beoplay A6 by Band & Olufsen. It’s one expensive luxury wireless speaker, but B&O will surely not disappoint you with the money spent on it. 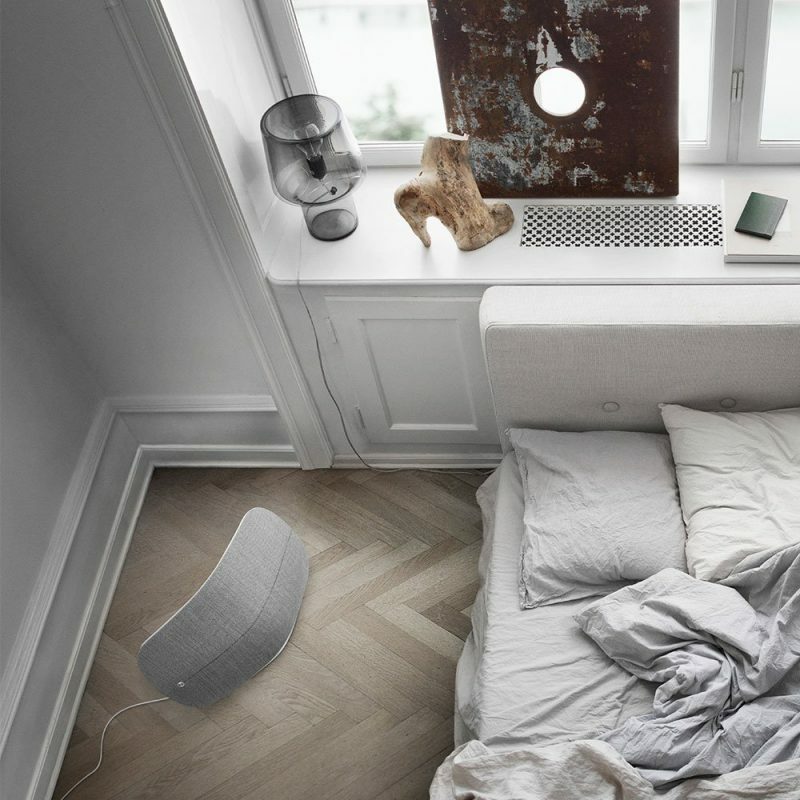 This pricy wireless speaker will fill your room with a high-quality audio that only Bang & Olufsen can produce. It has a sophisticated design that’ll match any interior design of any household room. Just place this wireless speaker in one corner of the room, or hang it in a wall bracket and you will get an excellent music experience. It comes with interchangeable covers in different colors. The covers are crafted from premium Kvadrat wool-blend furniture fabric. The Kvadrat fabric is one of the reasons why this wireless speaker is so expensive. The great sound performance comes from almost every area of the speaker. It has five channel speakers. There are two woofers, one 60-watt class D for full range and two tweeters. With just one touch of magic in the touch interface (on the top of the sound system) and you can manage your audio settings. Or you can control it using your smartphone or any connected device using the Beoplay application. It’s available on Android and iOS. To play songs wirelessly, connect via Bluetooth, Chromecast, AirPlay, WiFi or DLNA. It doesn’t have a built-in battery, so it needs a power supply. There’s a power cable included in the package. 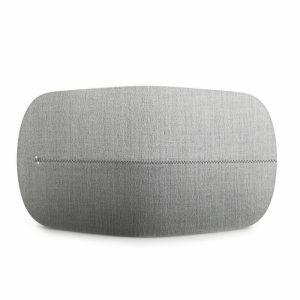 If you are in the market to spend a big amount on a wireless speaker set, the Beoplay A6 should be in your portfolio of options. To play songs wirelessly, connect via Bluetooth, Chromecast, AirPlay, WiFi or DLNA. It doesn’t have a built-in battery, so it needs a power supply. There’s a power cable included in the package. Naim, a British company, has been known in making audiophile components and their first wireless music system is the Mu-So. 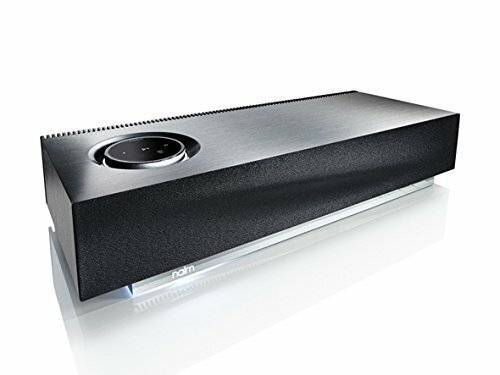 The Naim Mu-So wireless speaker music system won’t disappoint any audiophile professional because it has everything that an audiophile need, including the price. Listen to Beethoven’s Fifth Symphony, and you’ll undoubtedly hear the small percussion. That’s how good this wireless system is. You’ll listen to the most intricate audio details you can hardly hear in ordinary cheaper wireless speakers. It has 450 watts of power through the six custom-designed speakers (75-watts each speaker). This wireless speaker system delivers a full, detailed sound despite the genre of the music played. It’s housed in a wooden cabinet wrapped in anodized aluminum with an acrylic base. The design is meant for optimum acoustic performance without any traces of distortion. The Naim Mu-So wireless speaker music system uses a few simple and reliable wireless connection methods. Connect your music wirelessly through Bluetooth, AirPlay, Spotify Connect, Internet Radio or TIDAL. You can also play through USB or UPnP (Universal Plug `n’ Play). This extremely expensive wireless speaker also has an alarm clock feature. Just find the settings in the Naim application. Download the application to maximize your music entertainment through Mu-So. 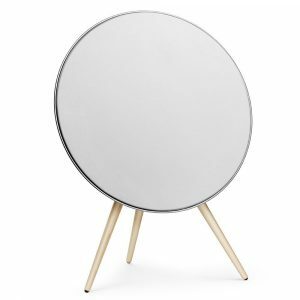 Another expensive wireless speaker from Bang & Olufsen is the Beoplay A9 wireless home speaker. The Beoplay A9 can fill a room with the signature B&O sound. It’s delicately crafted like a piece of furniture in your home to add to its interior design. Let it stand in one corner or mount it on a wall. Just like the A6, this speaker’s interchangeable covers are also developed by Kvadrat for some wool-blend caps. The premium fabric delivers an acoustic transparency and superior aesthetics. The Beoplay A9 has everything in it. Beautiful design, excellent craftsmanship, and incredible audio performance in one package. Another notable feature of this speaker is the touch interface. You can either swap or tap the touch interface to adjust the volume levels and other audio settings. The pricy Beoplay A9 gives off a sturdy sound quality that’ll pump up every music aficionado out there. It features a 480-watt amplifier system. It has separate amps for every five built-in speaker units. You can hear every audio detail the way your favorite artists want you to listen to it. The sound production automatically changes according to its position in your room. To wirelessly stream your well-loved playlist, connect the speaker and an audio source through Bluetooth, AirPlay or DLNA. It has also integrated streaming services for you to play music the more natural way. It has access to several streaming services like Spotify and Pandora. To wrap up our expensive list, we have an almost $3000 wireless speaker, the Devialet Phantom Gold. Implosive, you don’t get that much of an adjective in wireless speakers. For its music performance, you’d think you’re playing from a 12-inch subwoofer. But sorry to burst your bubble, the implosive sound comes from this not-so-big wireless speaker that’s sure to blow your mind. With a price like that, it should blow your mind, or it won’t be worth it. 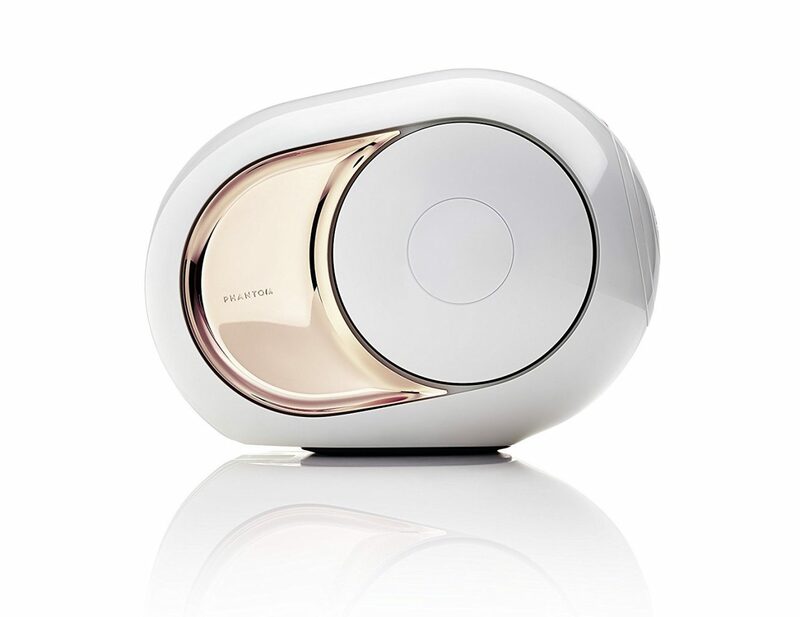 The Devialet Phantom Gold wireless speaker has a 22-carat Rose Gold finish. It looks so elegant and is just worthy of its price. This intelligently-made speaker is made in the country of France. They promised a zero distortion, and that’s what you’ll get with this speaker. It produces a sound quality that’s optimized in a revolutionary process from Devialet’s brilliant engineers. Imagine a 4500-watt of power and a 108 dB physical compact. You’ll feel you’re inside a concert venue when playing music from this speaker. Play some upbeat songs, and you’ll feel the thumping bass response. The bass is produced on the sides of the speaker, and it crazily vibrates as it emits that powerful bass. Let the best music enter your home with this speaker without much of wires. Use WiFi, AirPlay, Ethernet, and Bluetooth connections to play your music seamlessly. Connect from your smartphone, tablet, computer, and TV without any problem. Want an even more critical sound? Connect another Devialet Phantom Gold speaker in one same speaker, and you’re about to call it a day. Your money with Devialet is never going to waste with its audio performance and elegant design. The average person doesn’t have thousands of dollars to spend on wireless speakers if they can purchase a quality speaker set for under a couple of hundred dollars. So who exactly are these companies marketing too then? Someone who wants to fill their massive house with music probably can afford to drop money on a speaker set, mainly since it can be wireless. Celebrities, athletes, and executive businessman all are the demographic for these companies. Unfortunately, the public probably won’t even glance an eye at these speakers. Like anything, you get what you pay for.